When comparing prices on generator rentals in San Jose, Campbell and Santa Cruz ask about sales tax and environmental fees. Designed for construction and other demanding applications, these high performance, portable generators deliver unmatched tool starting and voltage regulation in a rugged, compact package. Trouble-free operation even in abusive environments. 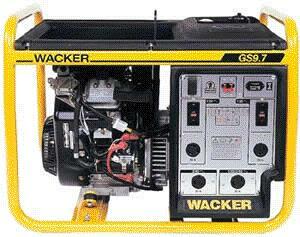 Ideal for powering high starting amperage tools. Full power switch for maximum 120V power output or 120V/240V power. * Please call us for any questions on our 6000 watt gas generator rentals in San Jose, Campbell, Salinas, Santa Cruz, Watsonville, Morgan Hill, Hollister, Santa Clara, Gilroy, Milpitas Sunnyvale, Fremont, Salinas, the Greater Bay Area and the Monterey Peninsula.